These are the other 2 cards we made at Convention using new stamp sets from "soon to be live" 2017-2018 Inspiration Book. (Have you preordered yours yet?). 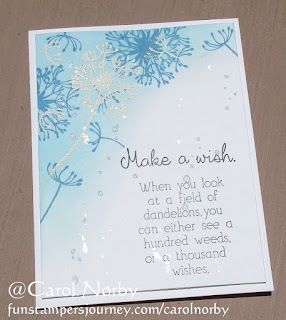 These cards use the sets "Coils and Curls" and, my favorite, "Dandelion Wishes". 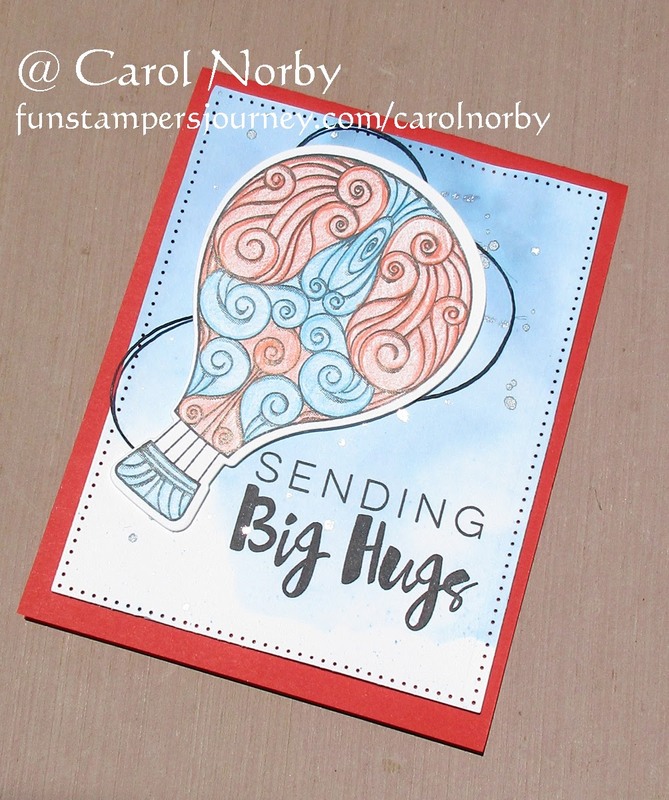 There are 3 stamps in the Coils and Curls set, a balloon (used here), a heart, and a camera plus there is a coordinating die set. Very cool! We actually put a few drops of the Catalina Splash Liquid Color on a piece of acetate or Clear View Sheet, sprayed with water in the Media Mister, added a few flicks of Sparkle Silk then laid down our piece of Whip Cream card stock in the "puddle". Kinda looks like the sky! I really like this card! 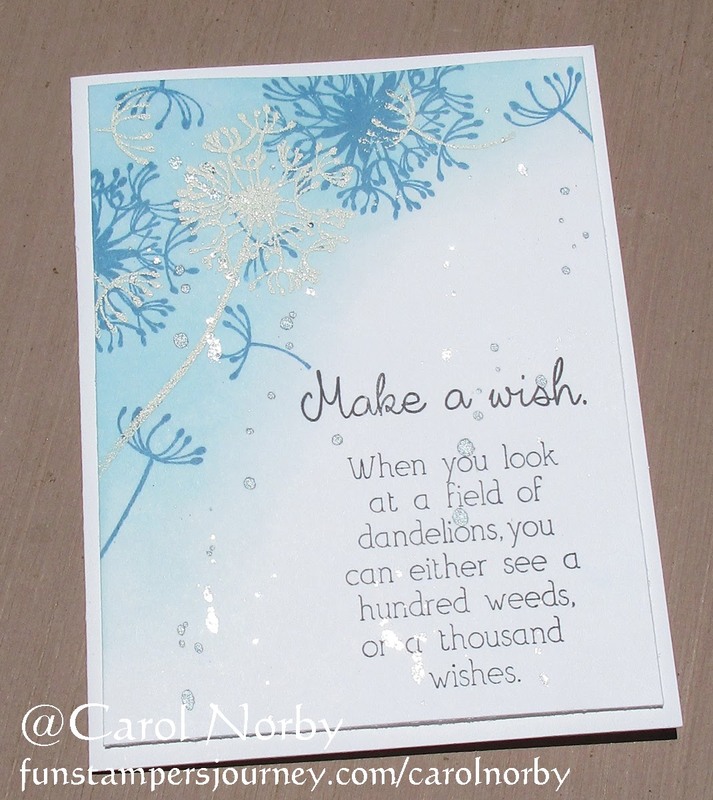 I've seen cool dandelion stamps from other companies and was thrilled to see this set, AND GET IT, in our catalog. 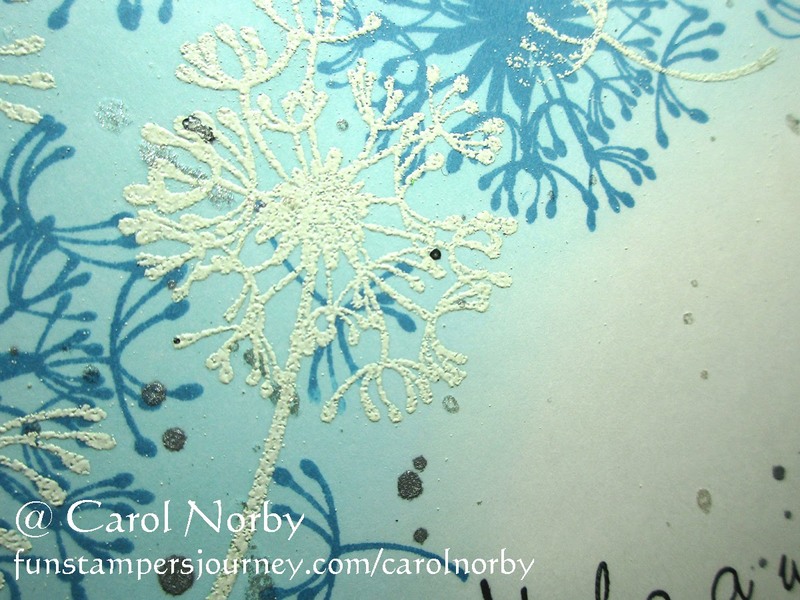 This picture came out more green than blue but I wanted you to see the detail of the embossed dandelion. Just too cool! We picked up the Pool Play ink with our Dauber and rubbed it into the Whip Cream Panel until we were happy with the amount of color. 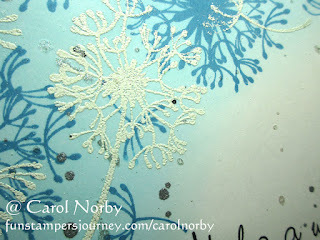 We then stamped the dandelion images and heat set before we stamped the large dandelion and white embossed. I screwed it the first time and forgot to heat set before getting ready to emboss and had white embossing powder all over! Nope, couldn't get it all off and it just didn't look that good. Did it over. Lesson learned, again. I had a good month at the store and sold about 10 cards. Need to do a bit of restocking this week. 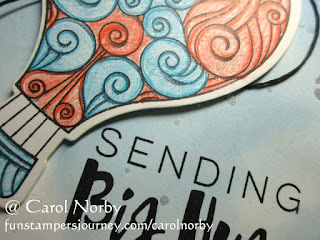 And I need to get my 4 Christmas cards made for my Christmas in July card class July 28th. We got some fabulous new stamps and I'll be using a couple "old" sets. I Love the dandelion card. It's beautiful!